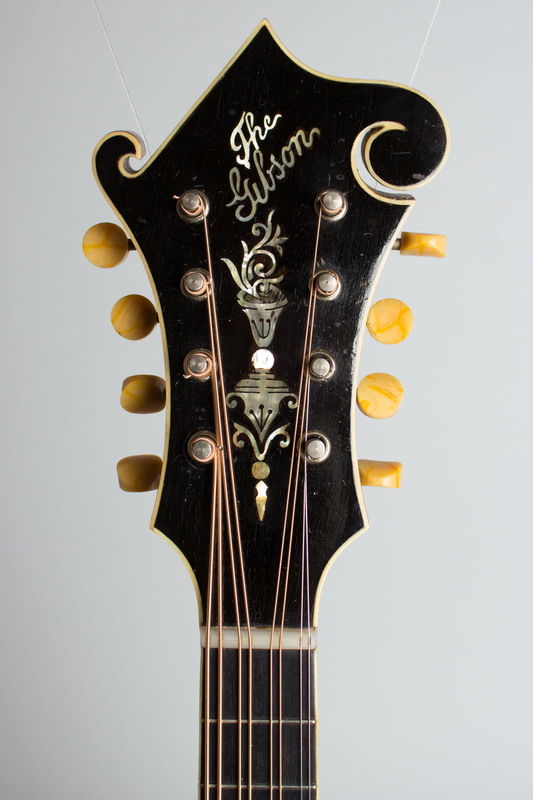 Gibson H-4 Model Carved Top Mandola (1920), made in Kalamazoo, Michigan, serial # 60195, red sunburst varnish finish, maple back and sides, spruce top; laminated mahogany neck with ebony fingerboard, original black hard shell case. 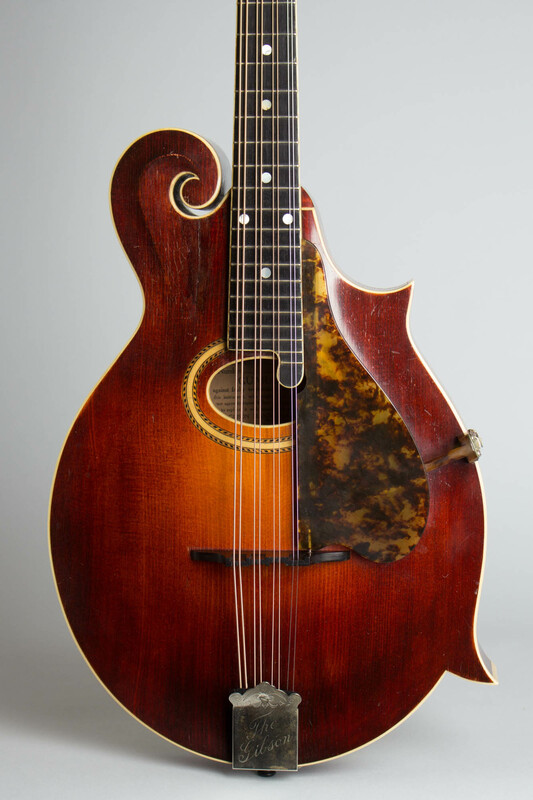 This is an absolutely beautiful looking and great sounding 1920 Gibson H-4 Mandola. 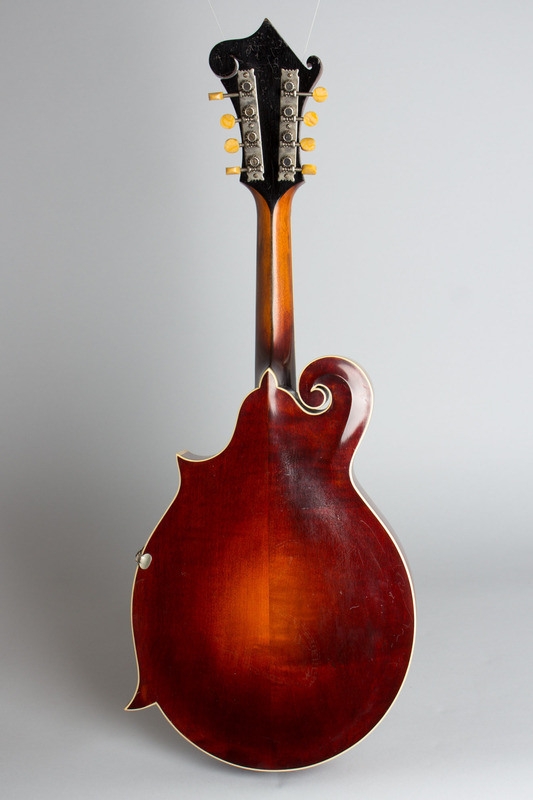 As the "middle" instrument in the mando-quartet early 20th Century Gibson mandolas are far from common, even in the 1910's and '20's they were hardly seen outside the confines of mandolin orchestras. 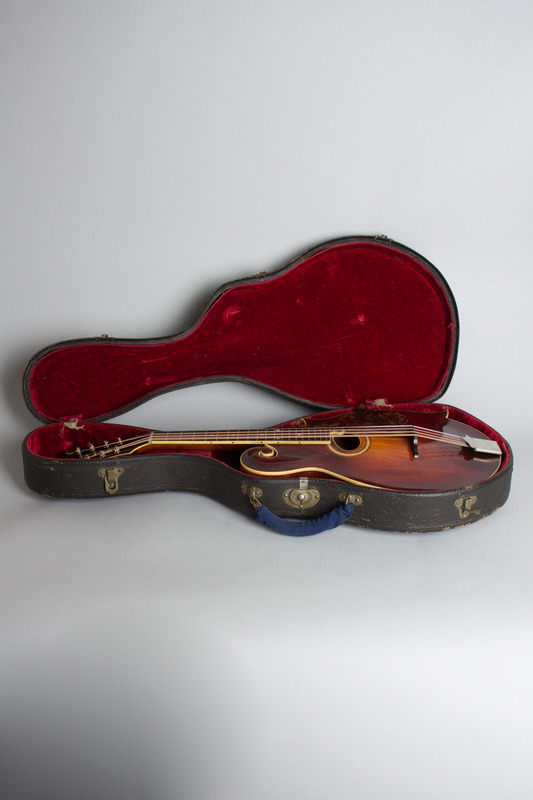 As the most expensive Mandola Gibson offered in 1920, the H-4 was produced only in relatively small numbers and is one of the rarest of the mandolin orchestra pieces the company sold at the time. 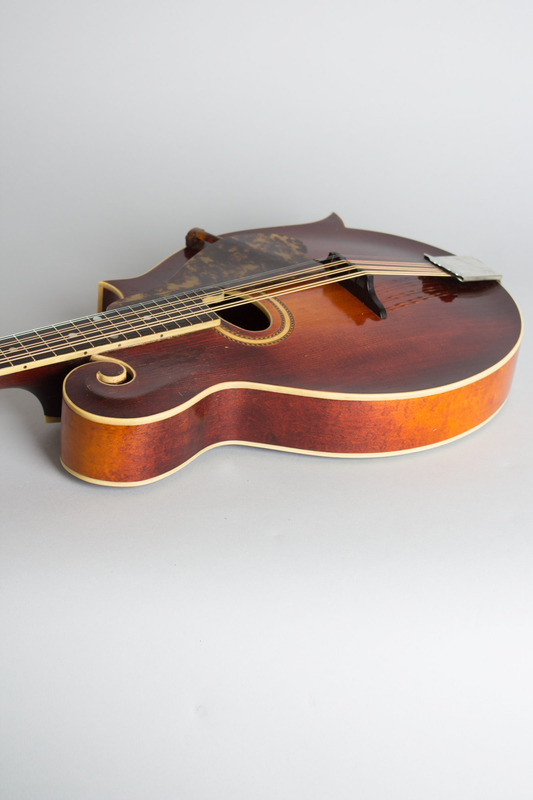 With its larger scroll body and rich red sunburst finish this H-4 is a visually striking instrument, replete with Gibson's signature flowerpot inlay on the art nouveau-styled headstock. 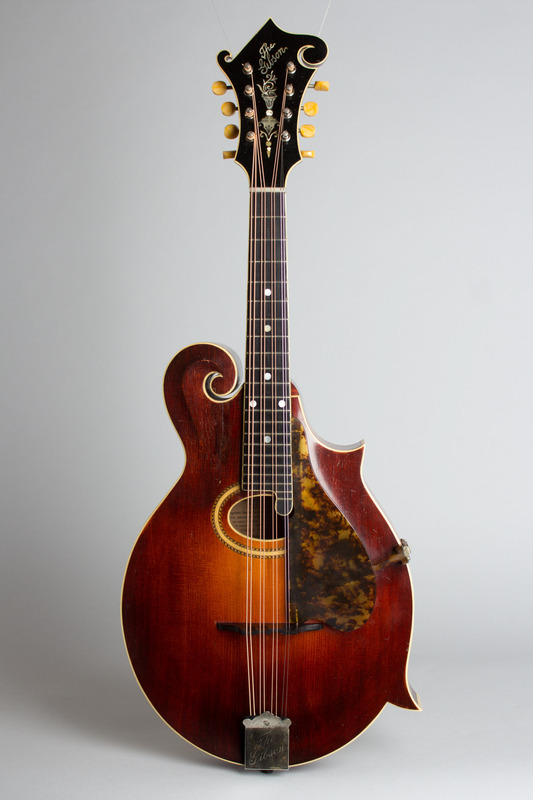 This mandola is just about to celebrate its 100th birthday and remains a exquisitely styled and excellent sounding instrument with a smooth and powerful tone suitable for a variety of musical styles, some of which are still waiting to be discovered! Overall length is 28 1/2 in. (72.4 cm. ), 11 in. (27.9 cm.) width, and 2 in. (5.1 cm.) in depth, measured at side of rim. Scale length is 15 3/4 in. (400 mm.). Width of nut is 1 5/16 in. (33 mm.). Light average play wear overall; the only noticeable repair is a sealed 2" crack to the top just off the scroll. 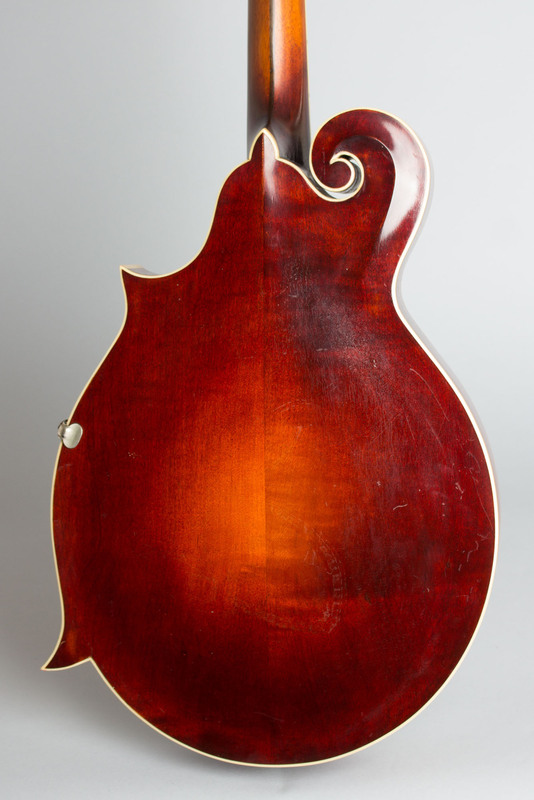 A very faint impression of a strap or similar can be seen on the back finish; this is only noticeable on close observation. 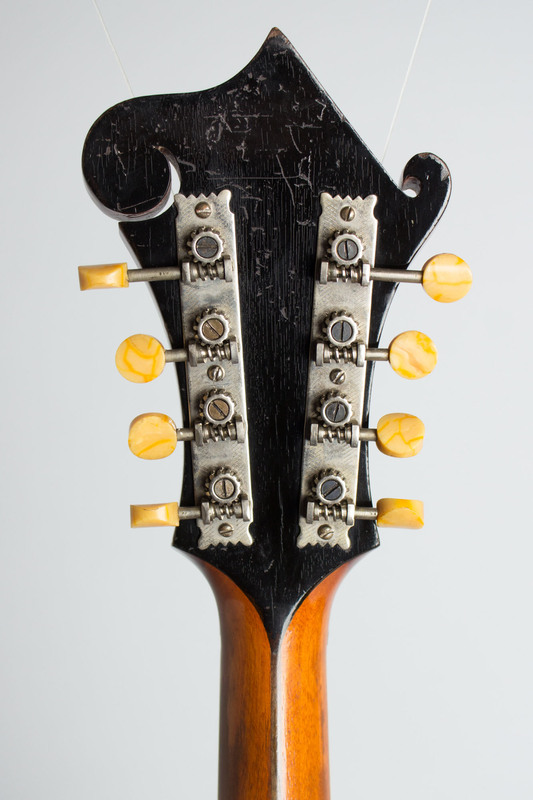 A beautiful mandola with a truly wonderful sound. Generally Excellent - Condition.